Happy Spring, er…summer?! The weather jumped from winter to the middle of summer in the Midwest, but the hot temperatures are allowing us to complete outdoor work! We’re coming off of a huge weekend in Indianapolis, hosting thousands of visitors for the greatest spectacle in racing- the Indy 500- and taking some time to honor the service men and women who sacrifice for our freedom, past & present. We also just returned from ICSC ReCon in Las Vegas, the largest gathering of retailers, landlords, developers and brokers from around the country. Despite all of the rumors about retail, while it is changing, it’s not dead! Restaurants are king, as is multi-channel marketing and experiential retail. We were encouraged by the level of activity in the retail sector! Additional photos of our May projects below can be viewed on our facebook page. If you’re interested in talking with our us about a potential project or partnership, please contact Lauren Kriner at lkriner@capitolconstruct.com or 317.574.5488. If you are a vendor partner, please make sure to register your business on our new subcontractor system here. 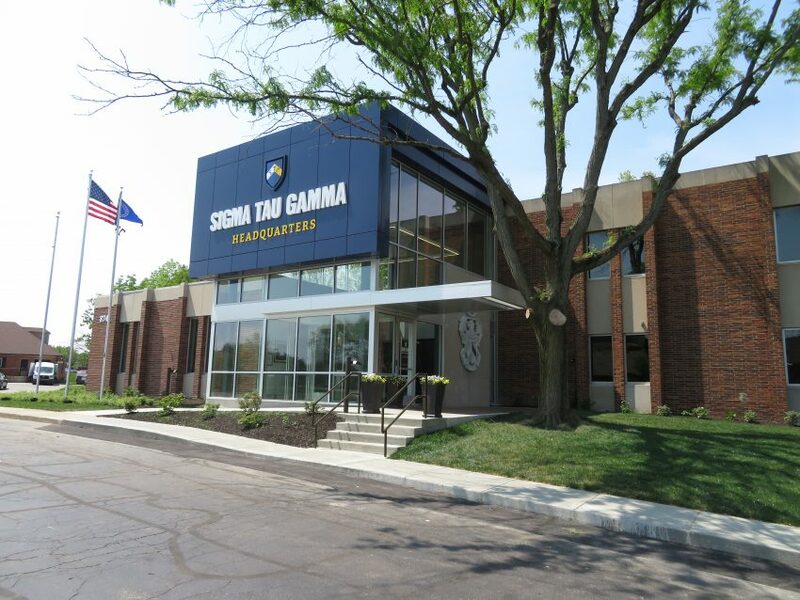 SIGMA TAU GAMMA, Indianapolis, IN – 15,000 Sq. Ft. Fraternity Sigma Tau Gamma recently relocated their headquarters to the popular Greek corridor that is College Park on Indianapolis’ northwest side. They purchased the former “home” of another fraternity, added on 3,000 square feet and remodeled the initial 12,000 square feet on two levels. The local CBRE construction management team represented Sig Tau, and architects DKGR designed the expansion and interiors of the new space, incorporating elements of the fraternity’s history! Our team enjoyed working with everyone to establish Sig Tau’s headquarters in our city! 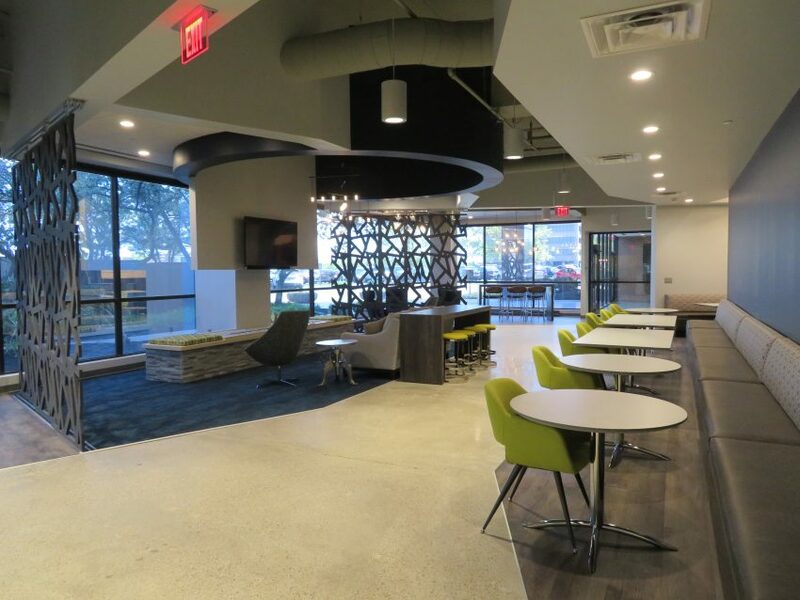 As are many Class A office buildings, Zeller Realty’s Meridian Mark I in Carmel, IN just converted a vacant space into a 6,400-square foot social hub. Like we have done in several other Zeller buildings, we remodeled the space into a building amenity that tenants and visitors can enjoy in a variety of ways. There are places to work privately, collaboratively, eat, or just take a break. Carmel-based Mitsch Design worked with the Zeller team to bring this vision to life! INDIANA YOUTH GROUP, Indianapolis, IN- 15,000 Sq. Ft. It was a pleasure to complete our third United Way of Central Indiana agency project for Indiana Youth Group, converting an old 15,000 square foot building to their new home and increasing their space by 500%! 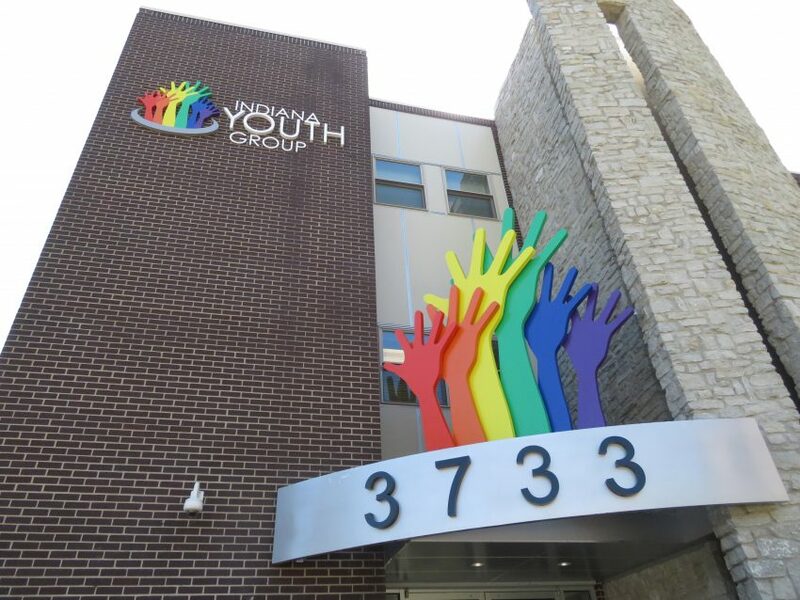 The three-story building at 37th & Meridian Street now allows them to serve many more LGBTQ youth in the area. Schmidt Associates and CORE Planning Strategies were critical teammates on this project! 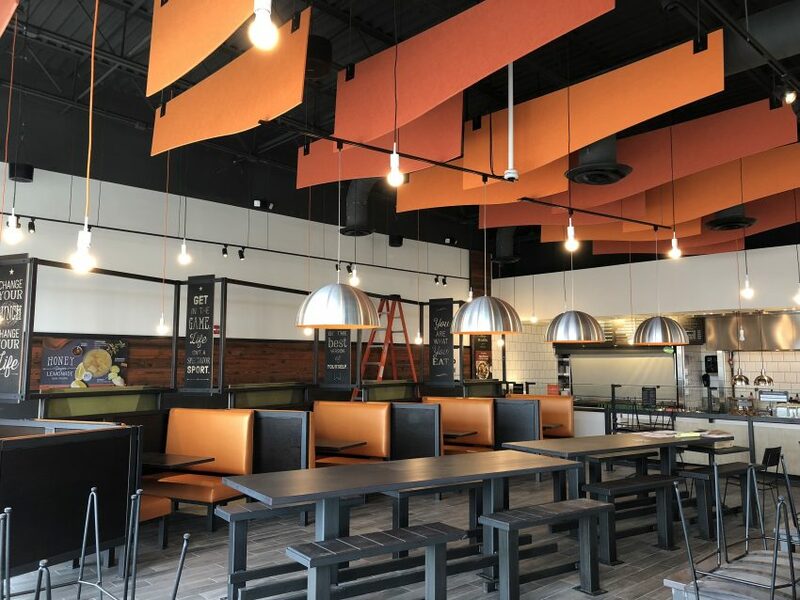 CORE LIFE EATERY, Lafayette, IN – 3,500 Sq. Ft. Core Life Eatery opened their second location in Indiana this month in the Lafayette Shoppes in Lafayette, IN! We enjoyed working with the entire Core Life team again, and their IN franchisee, to build out this 3,500-square foot endcap with a great outdoor patio for al fresco dining. The whole food-focused eatery will be a welcomed addition to the tenant mix in the area! Atlanta-based Tedrow Design Group worked on this growing concept’s design. HUMANA, Mobile, AL – 3,800 Sq. Ft.
Capitol Construction completed our fourth project for Humana this year in Mobile, Alabama. 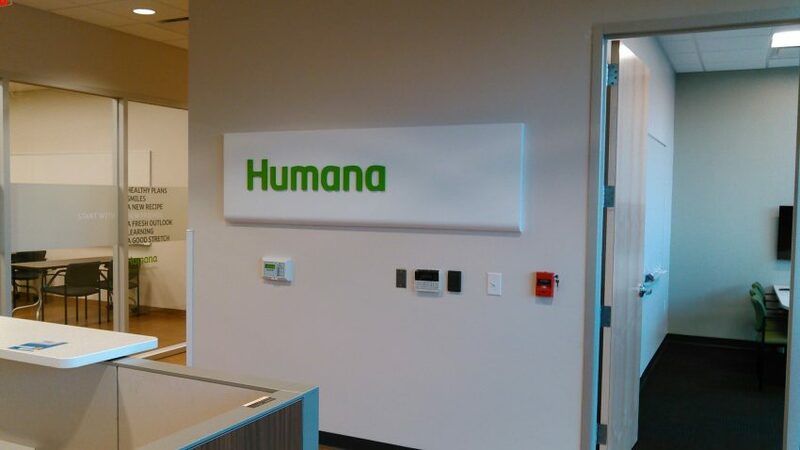 The Humana Marketpoint Office, which acts as a sales and training location, is 3,800 square feet and was designed by global-firm, Interior Architects. Capitol enjoys a relationship with Humana around the country, having now completed 12 projects for the growing health insurance provider.